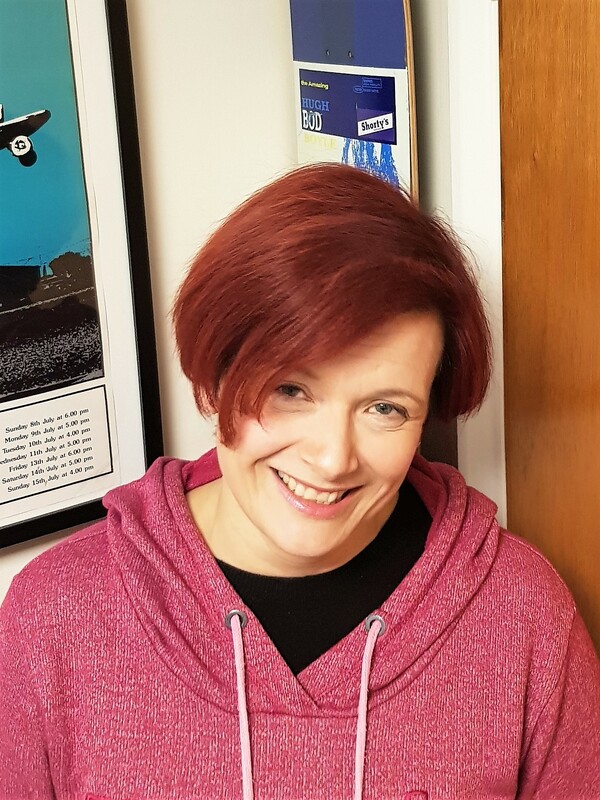 I’m the Business Manager for the Public Health Service at Hertfordshire County Council which means I’m responsible for making sure we follow corporate and political processes. That may sound dull but I work with great people and no two days are the same. It can be stressful sometimes but flying is a great antidote to that. I’m lucky that I can work flexible hours which means I can come to the tunnel during the day when it’s quieter. What brought you to the wind tunnel in the first place and how did you feel about your first indoor skydiving experience? Like lots of people, I came with a couple of friends on a voucher offer. I hadn’t thought too much about what to expect and I spent my two flights on sensory overload just trying to process what was going on. I knew I’d enjoyed it but felt I needed to come back again to give it another try. I came back a couple of months later and after that second time, I was properly hooked. I still have the video from that session and it makes me smile. If only I’d known then…..
How did things progress after that? I didn’t fly very regularly to start with, maybe once every two or three months. After about 18 months I realised that I needed to fly more regularly in order to progress, otherwise I was spending the start of each session trying to remember what I’d done before. I noticed the improvement once I started flying more often. It’s true that it’s highly addictive and the more I flew, the more I wanted to do. It hasn’t always been easy and I’ve had a few bruises (or tunnel kisses as I prefer to think of them), but I love it more now than ever. Now I usually fly every couple of weeks and I really miss it if I don’t. How important have your instructors been in your flight story? Does it matter to you, switching instructors? I can honestly say without them I would have given up long ago! Not only are they highly skilled and incredibly patient, but they’ve pushed me to try stuff that I never thought I could do. There have been times when I’ve got really frustrated but they’ve encouraged me to persevere until I get it. The best piece of advice I was given is to not try to rush ahead, but to enjoy the process of learning something new because you only get to learn it once. Over time I’ve had quite a few different instructors. I’ve flown with some more than others but they’ve all been brilliant and I’ve learned something from each and every one of them. Sometimes a bit of consistency has been good but at times when I’ve been struggling, a fresh perspective has been really helpful. At the moment there are four or five instructors who I fly with and it’ll just depend on who is available that day. What level of flying are you currently at and what are your hopes for 2019? Right now I’m working on head up carving, layouts and more dynamic lines. That’s going to take me a while to master properly but I’m starting to see progress. I’d like to think that I’ll be ready to try head down by the end of this year, but I don’t want to skip through all the other good stuff just to get to that. 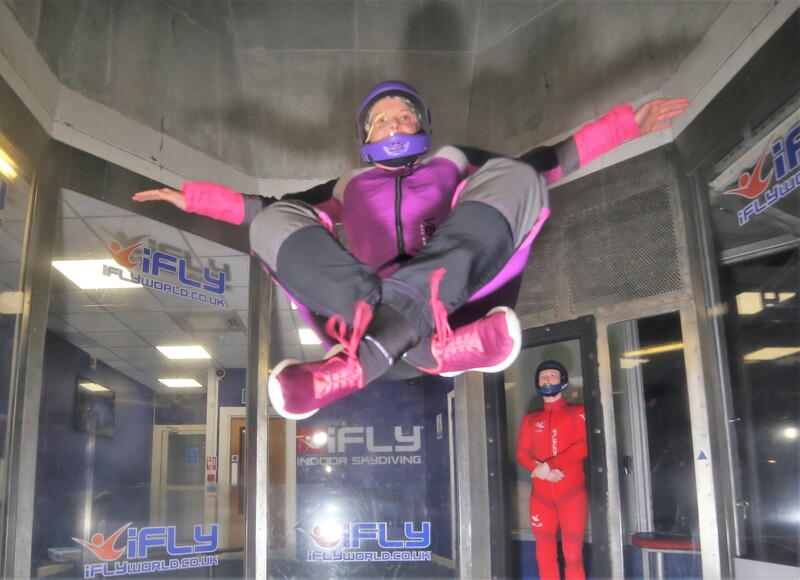 What do you enjoy about Flight Club at Milton Keynes? One of the great things about flying is that you get to meet people from all sorts of backgrounds. Everyone is very supportive and encouraging and I’ve made new friends who I wouldn’t otherwise have met. I’ve learned a lot from watching other people and it’s good to share experiences and have a laugh. Do you have any plans to skydive outdoors? I often get asked when I’m going to do a ‘proper’ skydive. The answer to that is probably ‘never’. Most people seem to find that surprising but I don’t view flying in the tunnel as a substitute for, or just for training for the ‘real thing’. For me it’s a sport in its own right and I love it for what it is. Apart from indoor skydiving, do you have any other great passions? I’m a bit of a petrol-head, both two wheels and four. I used to run a car club and I met my husband at a car show. One of the most amazing things I’ve ever done is go to the Isle of Man TT and I’m proud to say I’ve ridden round the course, albeit at normal speed. You have to watch motorsport live to get the full experience. The noise, the smell and the sheer speed are lost on TV.